By a nearly 2-to-1 margin, Americans say they’re unsatisfied with Hillary Clinton’s response to the 2012 terrorist attack in Benghazi, Libya, according to results from a new NBC News/Wall Street Journal poll. But a plurality of respondents believe that the congressional investigation into the attack is unfair and politically motivated. And the public is essentially divided over the importance of Clinton’s private email server, with 47 percent of Americans saying it’s an important factor in deciding their vote, and another 44 percent saying it isn’t important. These findings come ahead of Clinton’s testimony Thursday before the House Select Committee on Benghazi, where the 2012 terrorist attack, Clinton’s private email server and allegations (even from fellow Republicans) that the committee was established to hurt Clinton’s presidential campaign will all be subjects of discussion. And the findings in the poll tend to break down by party line. 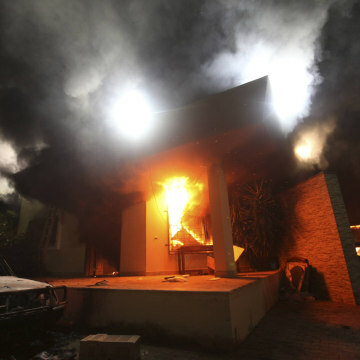 Forty-four percent of Americans say that they’re not satisfied with Clinton’s response to the Benghazi attack in 2012, when Clinton served as secretary of state. That includes 77 percent of Republican respondents, 40 percent of independents but just 14 percent of Democrats. By contrast, 27 percent of Americans are satisfied with her response – including 51 percent of Democrats, 18 percent of independents but just 6 percent of Republicans. 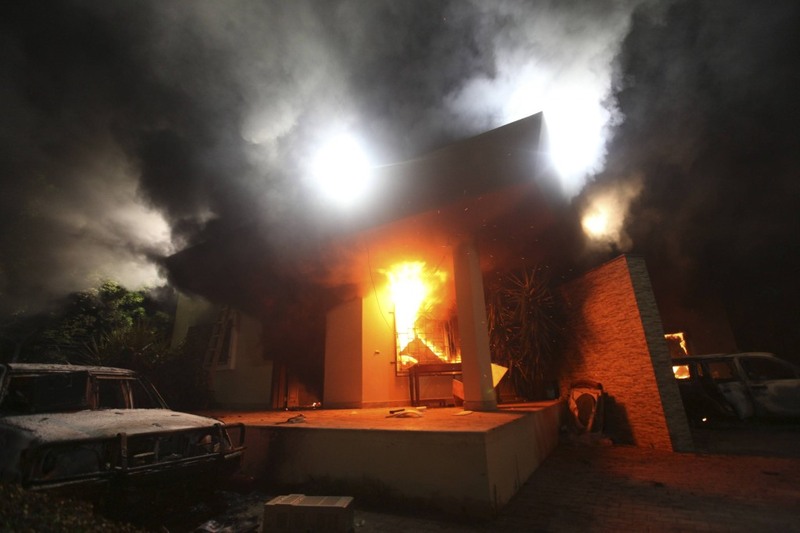 Meanwhile, 36 percent of Americans think the current congressional investigation into the Benghazi attacks is unfair and too partisan (that includes 53 percent of Democrats); 29 percent of Americans believe it’s fair and impartial (including 50 percent of Republicans); and another 35 percent don’t know enough. Regarding Clinton’s private email server, 47 percent say it will be an important factor in their upcoming vote, versus 44 percent who disagree. And once again, these numbers are divided by party: 76 percent of Republicans believe Clinton’s private server is important to their vote, while 70 percent of Democrats say it isn’t important. The NBC/WSJ poll also finds that Clinton has slightly improved her general-election standing. She leads Republican Ben Carson by two points in a hypothetical match up, 47 percent to 45 percent. But a month ago, Carson had a one-point edge over Clinton, 46 percent to 45 percent. Clinton also leads Marco Rubio by one point (46 percent to 45 percent) and Ted Cruz by eight points (49 percent to 41 percent). By comparison, Democratic rival Bernie Sanders is ahead of Carson by one point (44 percent to 43 percent), Rubio by four points (45 percent to 41 percent) and Cruz by 12 points (50 percent to 38 percent). The NBC/WSJ poll shows a generic Democrat holding a one-point advantage a generic Republican in a presidential contest, 41 percent to 40 percent; it was 38 percent to 38 percent a month ago. 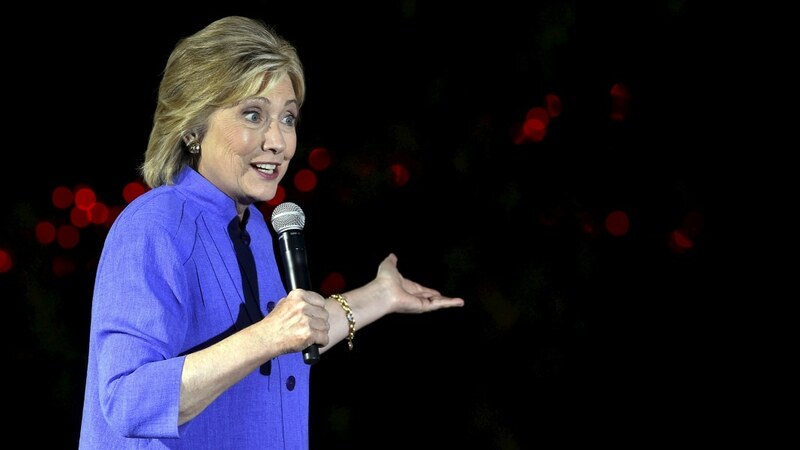 When Democratic primary voters were asked to judge Clinton and Sanders on several different attributes, Clinton’s top attributes in the poll were being knowledgeable and experienced to handle the presidency (88 percent gave her high marks here versus 56 percent for Sanders) and sharing your positions on issues (71 percent for Clinton, 55 percent for Sanders). Clinton’s worst attributes among Democratic voters: bringing real change to the direction of the country (58 percent give Clinton high marks here, versus 58 percent for Sanders) and being honest and straightforward (53 percent for Clinton, 72 percent for Sanders). And only 26 percent of all voters give Clinton high marks for being honest and straightforward, compared with 50 percent who give her bad marks -- essentially unchanged from the April NBC/WSJ poll. Democratic Party vs. GOP: In the mainstream or not? Guns: 51 percent mainstream for Republicans, 38 percent mainstream for Democrats. Finally, the poll finds 46 percent approving of President Obama’s job, compared with 49 percent who disapprove -- it was 47 percent-47 percent a month ago. The NBC/WSJ poll was conducted Oct. 15-18 of 1,000 adults (including nearly 400 via cell phone), and it has an overall margin of error of plus-minus 3.1 percentage points.